Join us for SAGE’s Leadership Reception for our members, volunteers and friends. We’ll share a toast over wine and light hors d’oeuvres to celebrate our work together and our plans for the coming year. 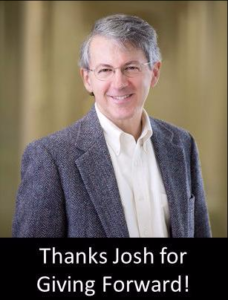 We are also pleased to honor one of our founding members, Josh Kadish, for his many contributions to SAGE and our community’s nonprofit organizations. Please RSVP by October 30. Space is limited. Complimentary parking is available. To register, please sign up using the online form or call SAGE at 971-717-6570. Special thanks to our sponsors for this event: Beneficial State Bank, Wyse Kadish LLP, and The Cellar Door.